1992’s Semi Finals with the Chicago Bulls and New York Knicks was one of the most intense in NBA History. 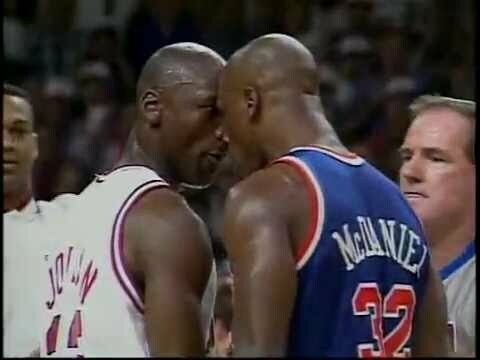 It was also one of a few times where Michael Jordan was ready to hand out a few knuckle sandwiches due to the roughness handed down by the New York Knicks. If you haven’t seen the story yet, here’s a 4 Minute video of Michael Jordan talking about the Knicks intense play and how he almost went “Blow for Blow”.